Kirsten Hall is a Senior Practitioner at a National Children’s Charity performing a dual role of practice and management in a small Targeted Youth Project working with missing and sexually exploited young people. 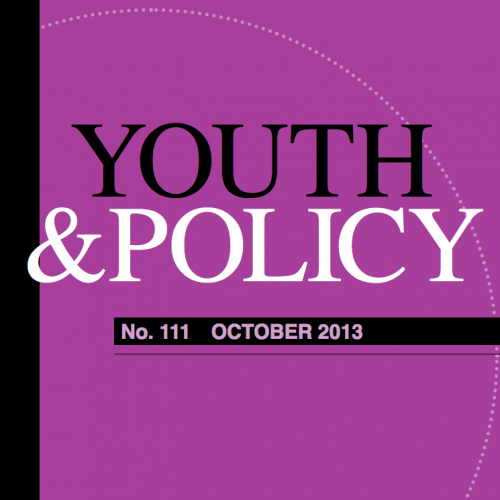 Tony Jeffs is a member of the Editorial Board of Youth & Policy. Mary Clare Martin is Head of the Centre for the Study of Play and Recreation, Department of Education and Community Studies University of Greenwich. She researches international perspectives on the history of children and religion, children’s illness, and youth movements, from 1700-2000. Maria Papapolydorou is Senior Lecturer in Education and Childhood Studies, University of Greenwich. Her research interests include the identities and network formation of students. Ewa Sidorenko is a Senior Lecturer in the Department of Education and Community Studies at the University of Greenwich. Her interests include sociology of childhood, participatory research with children, ethnography, identity, education, post-modernity, evolutionary theory, post-communist Poland, nationalism, Nazi concentration and labour camps. John A. Smith is Programme Leader for Education Studies University of Greenwich. His interests include the relationships between biology, psychology and sociology and their ecological interactions. He has published extensively in this field.